Hallucinogens are limited to a small number of types of chemical compounds. 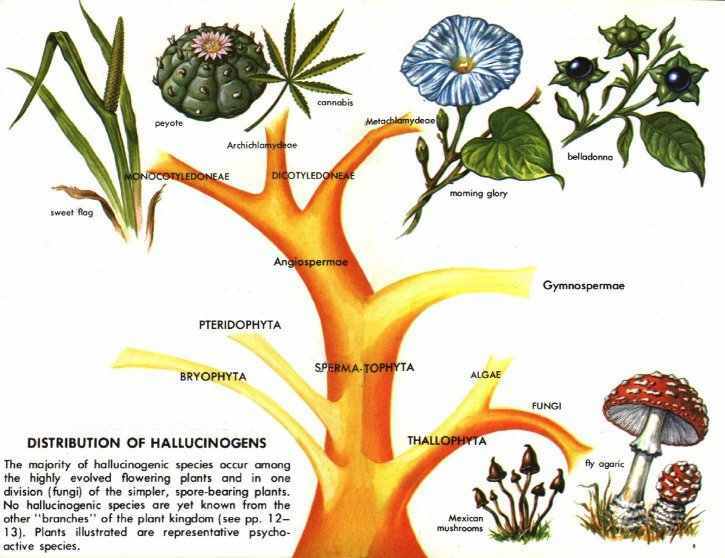 All hallucinogens found in plants are organic compounds--that is, they contain carbon as an essential part of their structure and were formed in the life processes of vegetable organisms. No inorganic plant constituents, such as minerals, are known to have hallucinogenic effects. Hallucinogenic compounds may be divided conveniently into two broad groups: those that contain nitrogen in their structure and those that do not. Those with nitrogen are far more common. 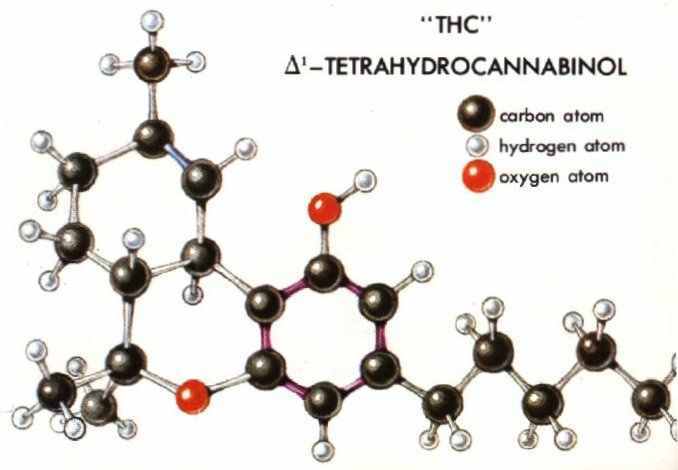 The most important of those lacking nitrogen are the active principles of marihuana, terpenophenolic compounds classed as dibenzopyrans and called cannabinols--in particular, tetrahydrocannabinols. 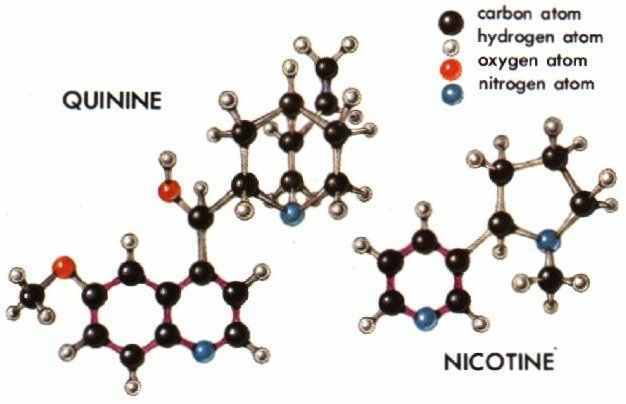 The hallucinogenic compounds with nitrogen in their structure are alkaloids or related bases. ALKALOIDS are a diverse group of some 5,000 compounds with complex molecular structures. They contain nitrogen as well as carbon, oxygen, and hydrogen. All alkaloids are of plant origin, though some protoalkaloids occur in animals. All are slightly alkaline, hence their name. They are classified into series based on their structures. Many hallucinogenic alkaloids are indoles (see below) or are related to indoles, and the majority have or may have originated in the plant from the amino acid known as tryptophan. 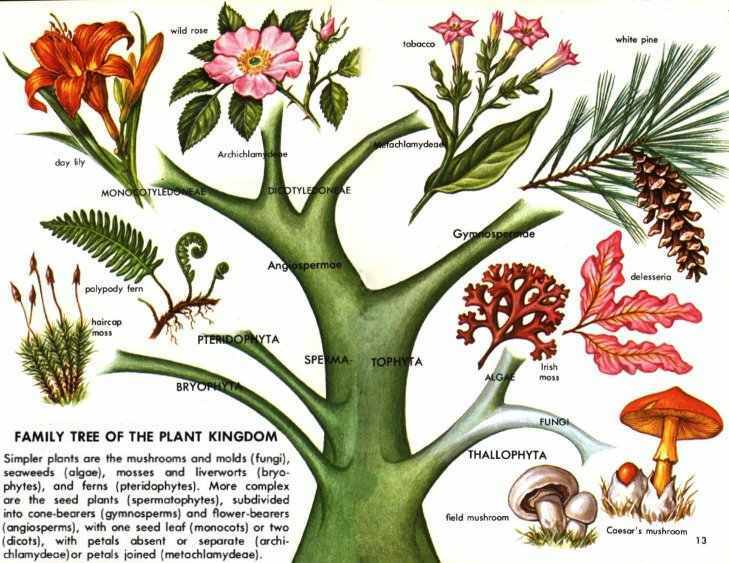 Most medicinal and toxic plants, as well as hallucinogenic plants, owe their biological activity to alkaloids. Examples of widely valued alkaloids are morphine, quinine, nicotine, strychnine, and caffeine. INDOLES are hallucinogenic alkaloids or related bases, all of them nitrogen-containing compounds. It is most surprising that of the many thousands of organic compounds that act on various parts of the body so few are hallucinogenic. The indole nucleus of the hallucinogens frequently appears in the form of tryptamine derivatives. It is composed of phenyl and pyrrol segments (see diagram following). Tryptamines may be "simple"--that is, without substitutions--or they may have various "side chains" known as hydroxy (OH), methoxy (CH3), or phosphogloxy (OPO3H) groups in the phenyl ring. 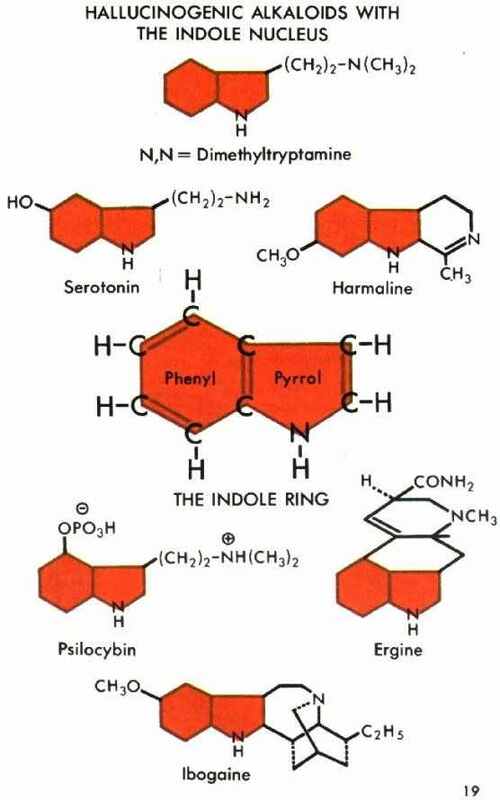 The indole ring (shown in red in the diagram) is evident not only in the numerous tryptamines (dimethyltryptamine, etc.) but also in the various ergoline alkaloids (ergine and others), in the ibogaine alkoloids, and in the ß-carboline alkaloids (harmine, harmaline, etc.). Lysergic acid diethylamide (LSD) has an indole nucleus. One reason for the significance of the indolic hallucinogens may be their structural similarity to the neurohumoral tryptamine serotonin (5-hydroxydimethyltryptamine), present in the nervous tissue of warm-blooded animals. Serotonin plays a major role in the biochemistry of the central nervous system. A study of the functioning of hallucinogenic tryptamine may experimentally help to explain the function of serotonin in the body. A chemical relationship similar to that between indolic hallucinogens and serotonin exists between mescaline, an hallucinogenic phenylethylamine base in peyote, and the neurohormone norepinephrine. These are poisonous plant compounds that cause what might be called secondary hallucinations or pseudohallucinations. 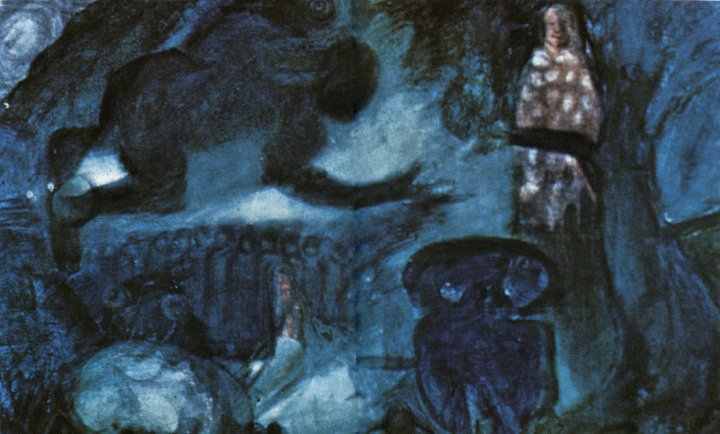 Though not true hallucinogenic agents, they so upset normal body functions thot they induce a kind of delirium accompanied by what to all practical purposes are hallucinations. Some components of the essential oils--the aromatic elements responsible for the characteristic odors of plants--appear to act in this way. 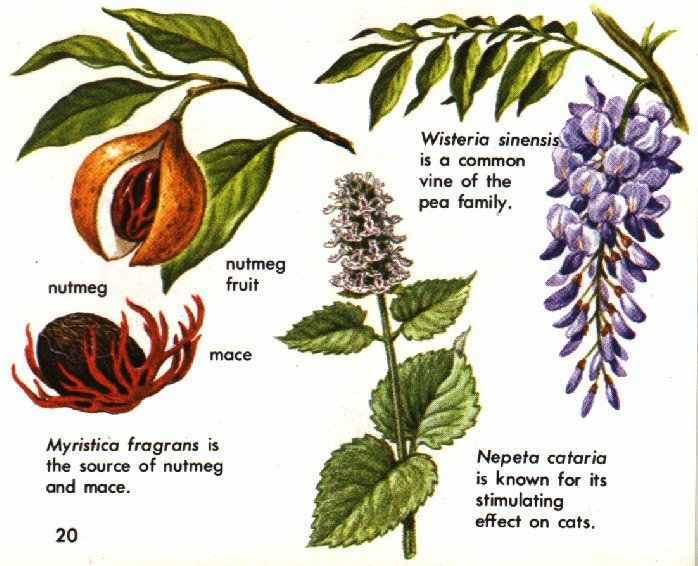 Components of nutmeg oil are an example. Many plants having such components are extremely dangerous to take internally, especially if ingested in doses high enough to induce hallucinations. Research has not yet shed much light on the kind of psychoactivity produced by such chemicals.